Grace Thomas is driven and accomplished. A two-sport cheerleader, she also tackled six rigorous Advanced Placement classes at Lakeside High School in Nine Mile Falls and plans to attend Western Washington University this fall. And she’s done it all while dealing with difficulties that would overwhelm many. Diagnosed with Type 1 diabetes at 9, Thomas struggled to adjust to a life that now involved finger pricks and regular injections. Thankfully, she found help and support at Camp STIX, a community-based summer camp for children and teens with diabetes. Less than a year after her diabetes diagnosis, Thomas’ mother was diagnosed with a rare form of cancer and died. Her parents had divorced when she was very young and her father is no longer involved with the family. At 10, she moved in with her older brother and forged a new life. Indeed, her work ethic and positive attitude were noted and appreciated at Lakeside. She’s also not afraid of new challenges – like trying out for cheerleading her senior year. In spite of the demands on her time, she’s enjoyed the experience immensely. While she’s glad she pushed herself to try something new, she’s most proud of her academic achievements. Thomas is also quite competitive. “She’s not real happy if she doesn’t get the highest score on the test,” Sullivan said. In addition to school activities and her ongoing involvement with Camp STIX, Thomas is also passionate about politics. She caucused for Bernie Sanders in Loon Lake. In fact, Sullivan can easily picture his student running for office some day. But science is her first love. 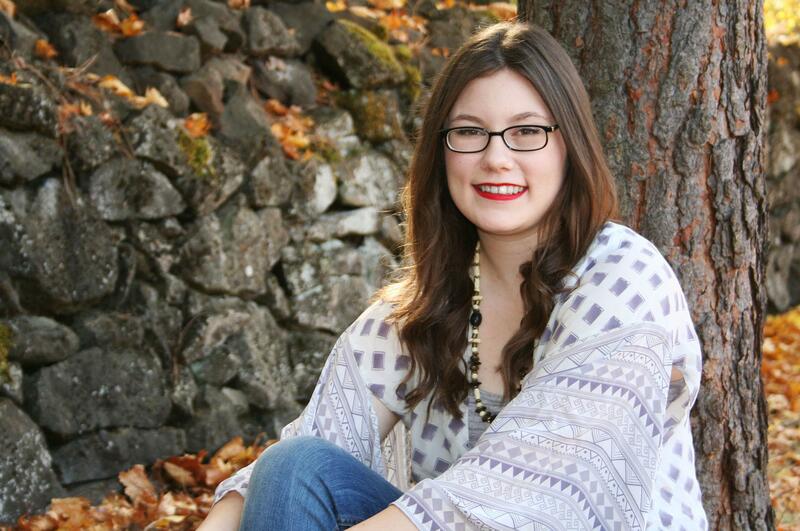 She plans to major in environmental science at Western Washington University. However, she said she will always be politically involved. It was her mother who exposed her to politics and continued involvement in something her mother enjoyed is a way of staying connected to her. “I really hope she’d be proud,” Thomas said.